I love fall. We don’t get enough of it in Mississippi – we basically have summer, 1 week of fall, winter, 1 week of spring, and then summer. In the heat of the summer, if I concentrate hard enough, I can feel the crisp autumn wind on my cheeks and just smell autumn. You know that smell – of leaves falling, of smoke from outdoor fires, cinnamon, scarves that have been in storage, of hayrides, and of home. I miss being a kid in the fall. It seemed to last much longer back then. Usually around July my husband and I begin to talk about Halloween, often accompanied by viewing my husband’s favorite movie, “Halloween.” Halloween and the surrounding season is certainly my favorite time of year, and I love thinking about all the skulls, pumpkins, spiders, and bats that we can use to decorate our house, all the fun Halloween-themed desserts to make, all the costume choices… Which brings me to the point of this post. For the first time in a long time, I know exactly what I am going to be for Halloween! Usually I put something together at the last minute, despite having been pondering my costume for months, which is why I end up being a punk most of the time since my wardrobe lends itself to that. 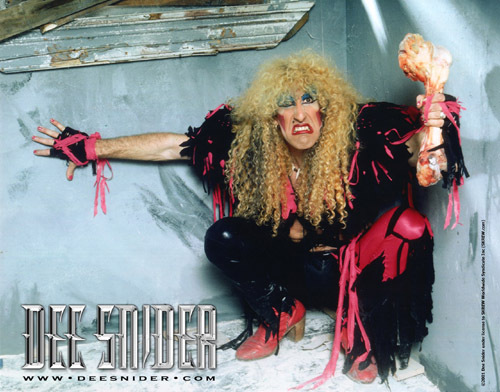 As an aside, I’ve always wanted to be Dee Snider for Halloween, but the thought of wearing skin tight pink spandex always scared me and would probably scare others. could i pull that off? 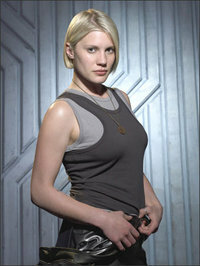 So, I plan to be Captain Kara Thrace, (callsign Starbuck), from Battlestar Galactica (2003). Battlestar Galactica is one of the greatest shows I’ve ever seen. I love the strong characters (both female and male), the human drama and tragedy, and the mystery and mysticism. 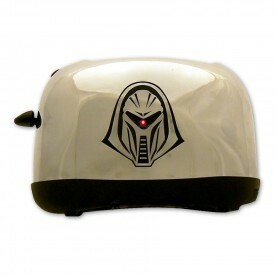 Plus, the cylons are cool. Unfortunately, I don’t think I’ll be able to get one.